While furnishing a beauty salon, massage salon, fitness center, or wellness zone, it is crucial to ask oneself questions concerning the space availability for the intended procedures. Will all the equipment fit within the particular room? Will the customers be provided with enough space which is necessary for efficient exercising? We enlist our gym equipment with respect to its dimensions and the requirements for its flawless use. Generally speaking, a great number of procedures available at one spot may discourage customers, or evoke a feeling of anxiety and/or lack of privacy. On the other hand, wasting space (e.g. a single procedure for one room), may not come out fruitful for your business. Does the golden compromise ever exist, then? It is necessary to approach things individually. The more comfortable studio you are going to run, the higher requirements furniture wise you are going to deal with. And vice versa, a small fit-center intended as an additional guest service in a small hotel can be equipped a little more. Also, the types of procedures may differ. They can include a few Rolletics or treadmills next to each other while the female visitors will definitely enjoy exercising and chatting at the same time. 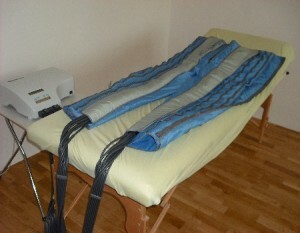 In contrast, the lymphatic drainage procedure calls for much more privacy so it is desirable to provide the lymphatic drainage Ballancer with a curtain or a screen. The Steam Box even requires a separate room with a shower, etc. By all means, we recommend that you think about the procedures scheme within your premises thoroughly and in advance. It is advantageous to consult a specialist on these matters, before you start pumping your money into the equipment.